Do you subscribe to my newsletter? In case you don’t, I’ll post it here today. Good luck with the giveaways! Bon weekend! I’m excited to let you know that today is a special one for me! 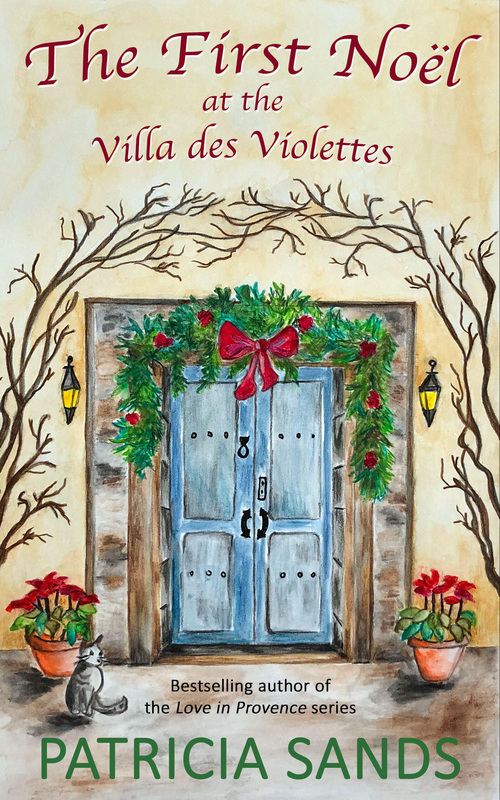 It’s launch day for The First Noël at the Villa des Violettes. 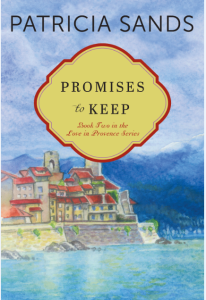 This is a Christmas story featuring Katherine, Philippe and friends from the Love in Provence series. I wrote it because so many of you have asked what was happening with them. I love becoming engaged with characters in books I’m reading, and it’s a thrill for me when someone writes and tells me the same about my characters. I must admit it was a lot of fun for me to be back on the pages with those familiar personalities. As happens so often with fiction writing, they had a few surprises in store for me! The header photo above is one that I often referred to as I was working on this book. The story is about the first Christmas/Noël that Katherine and Philippe are celebrating in their restored villa. Katherine hopes there would be snow on the mountain tops, just like in the picture. 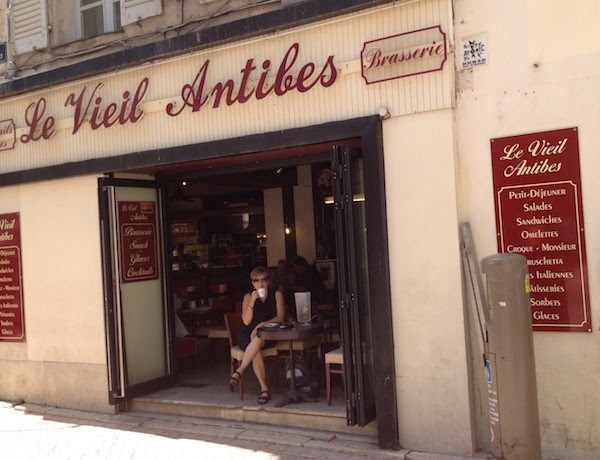 This is the café where Kat likes to sit to read her copy of Nice-Matin and practise her French. 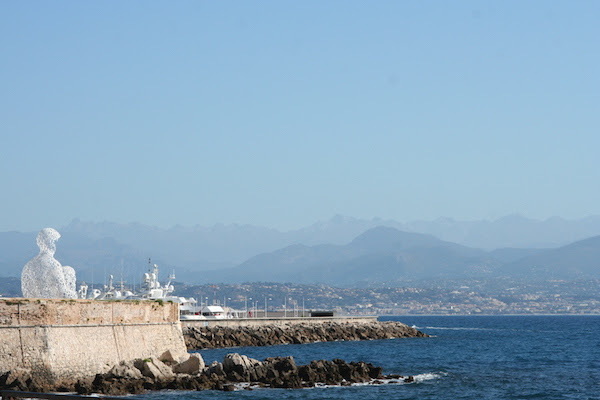 I like to do the same when I’m in Antibes and it was here that I worked on edits last summer for The First Noël. The cover of this book has a special story to it. The artwork was created by two talented women, Clare Strohman and Donna Fedele, who were on the September tour in France that Deborah Bine and I led. The three of us talked about concept, colour, and effect and they went to work to produce this lovely result. 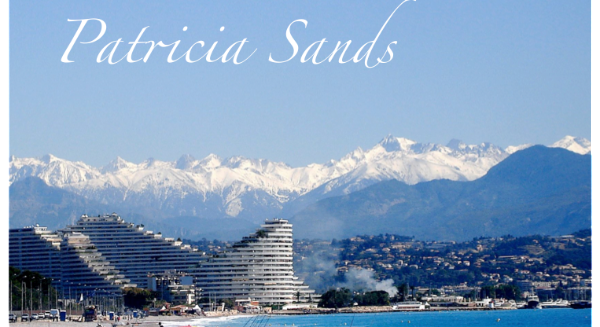 I am going to write three books in the Villa des Violettes series. The next will be published in the spring and another in the fall, and the cover will be the same but with changes to the vine and the flowers in the pots. How do you like that concept? The stories will all be a bit shorter than a full novel and I hope you will enjoy them. So today is launch day for the ebook and the print copy should be out by December 1st. Thanks for spreading the news! As Thanksgiving in America approaches, I’m sure many of you are busy with plans for the holiday. Are you travelling or are friends and family coming to you? Who is cooking and what? Are you turkey lovers? And football is a must, right? Tell me all about it when you enter this month’s giveaways. It’s gratifying to see so many of you enter your name each month for a chance to win a book. Thank you also to winners for taking the time to send thanks to the authors whose books are sent to you. I’ve heard from many of my author friends about how they appreciate your thoughtfulness. In keeping with the upcoming December holidays, here are some festive Christmas stories for you, including mine! 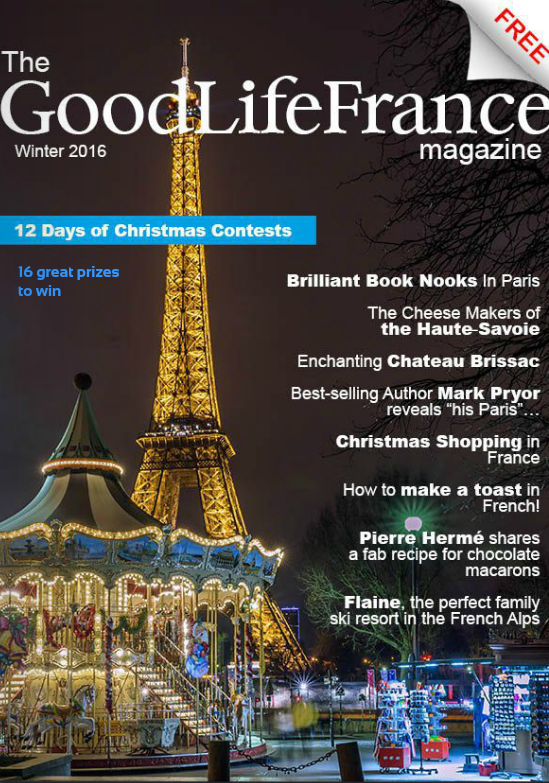 Rest assured all of these enjoyable stories will help to fill you with the Christmas spirit! 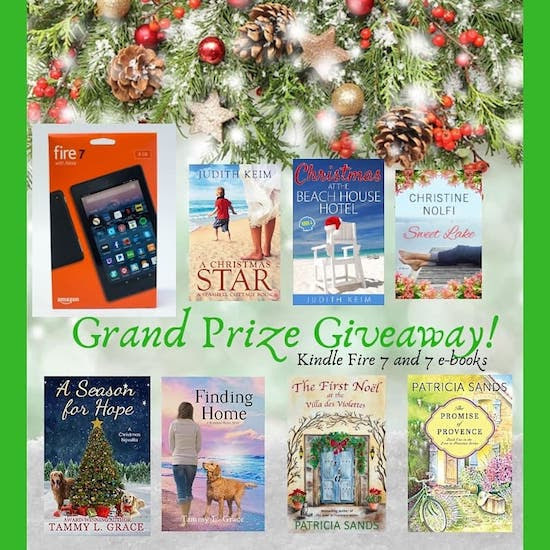 Giveaway #1 is for two ebooks of A Season for Hope by Tammy Grace. Born and raised in Nevada, Tammy loved reading at a young age. With the help of her middle school teacher, she discovered the joy of writing. After spending a career in local and state government service, she retired and finally has the time to dedicate to writing. Connect with Tammy at her website tammylgrace.com. Blurb: A Season for Hope is a charming story about the kindness of strangers and finding hope where you never expected it. Cozy up with a holiday read sure to warm your heart. 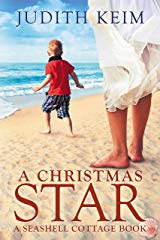 Giveaway #2 is another holiday read to warm your heart from Judith Keim, who is offering two ebooks of A Christmas Star. 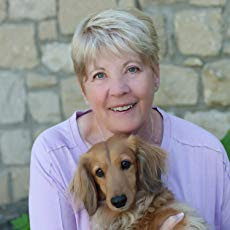 Judith Keim enjoyed her childhood and young-adult years in Elmira, New York, and now makes her home in Boise, Idaho, with her husband and their two dachshunds, Winston and Wally, and other members of her family. 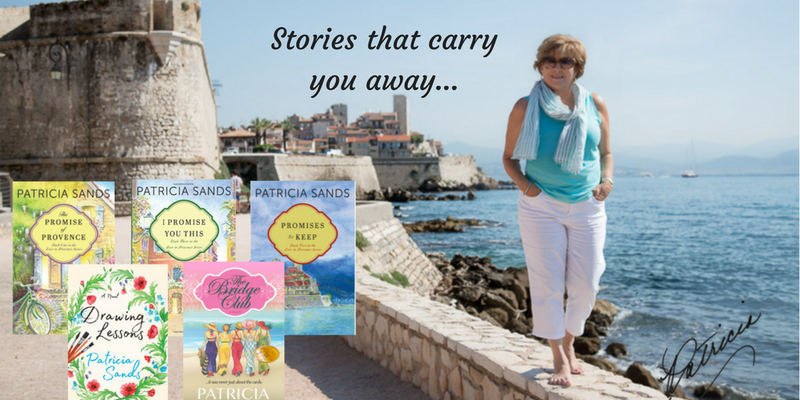 Judith writes heart-warming novels about women who face unexpected challenges, meet them with strength, and find love and happiness along the way. 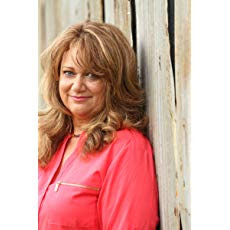 Her best-selling books are based, in part, on many of the places she’s lived or visited and on the interesting people she’s met, creating believable characters and realistic settings her loyal readers love. Blurb: A page-turner that perfectly captures the spirit of Christmas. 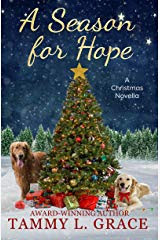 A chance meeting, along with an act of goodwill, will lead one woman on a journey that will help her to heal her broken heart…and once again believe in the magic of Christmas. Giveaway #3 features two stories from our very own Hallmark Movies star! USA Today bestselling author Nancy Naigle whips up small-town love stories with a dash of suspense and a whole lot of heart. 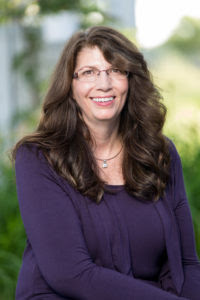 She began her popular contemporary romance series, Adams Grove, while juggling a successful career in finance and life on a seventy-six-acre farm. She went on to produce works in collaboration with other authors, including the hilarious southern fiction G Team series. 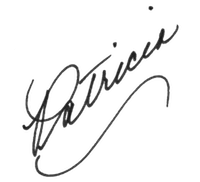 A Romance Writers of America Honor Roll author, her books have been translated in multiple languages and received favorable reviews from major trade journals. Now happily retired from a career in the financial industry, she devotes her time to writing, antiquing, and horseback riding with friends. A Virginia girl at heart, Nancy now calls North Carolina home. Crown Media is bringing two of Nancy’s novels to Hallmark’s holiday programming. Nancy is also currently working on original novels for Hallmark Publishing. You can connect with Nancy at her website. 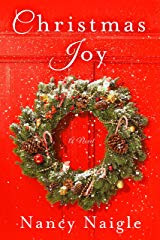 Nancy’s first offer is an ebook of Christmas Joy. Did you see the movie on the Hallmark Channel on November 3rd? It was fabulous! Blurb: A heartwarming Christmas story about family, friendship and finding love in unexpected places. Nancy’s second offer for you is a print copy of Hope at Christmas. WATCH FOR THIS TO DEBUT ON HALLMARK MOVIES & MYSTERIES ON NOVEMBER 20th! 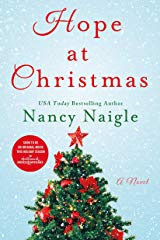 Blurb: Nancy Naigle delivers a heartwarming Christmas story that proves you can always go home again in Hope at Christmas. 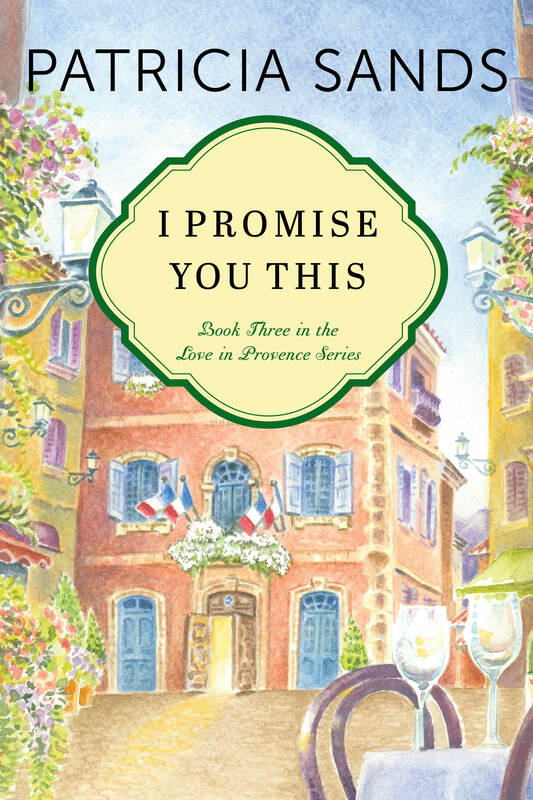 Giveaway #4 is for three ebooks of The First Noël at the Villa des Violettes to help celebrate this launch day! Everything was going so well in Kat and Philippe’s life together. Then suddenly it wasn’t. 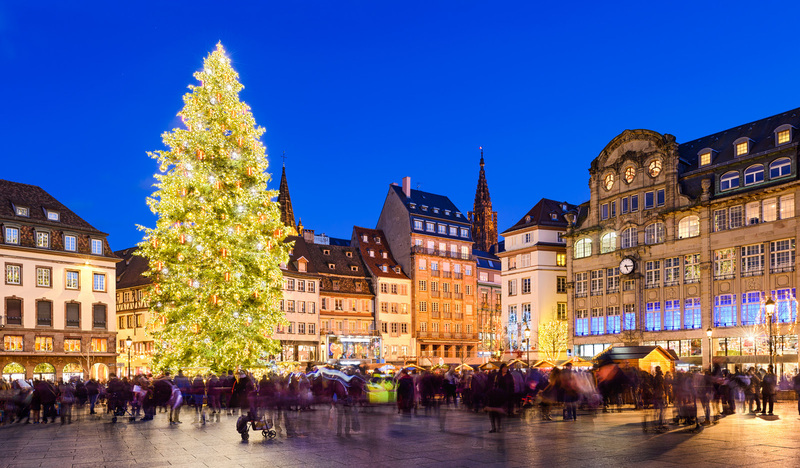 Philippe hoped a weekend trip to the famous Christmas markets of Strasbourg would solve everything. 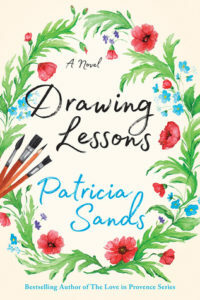 As always, send your entry for these giveaways to patriciasandsauthor@gmail.com. Names will be chosen randomly. Tell us how you are celebrating Thanksgiving or do you have different plans? It’s a pleasure to offer these giveaways from my writing friends. Thanks for the great response each month. I’m glad you appreciate them and are so keen to enter. 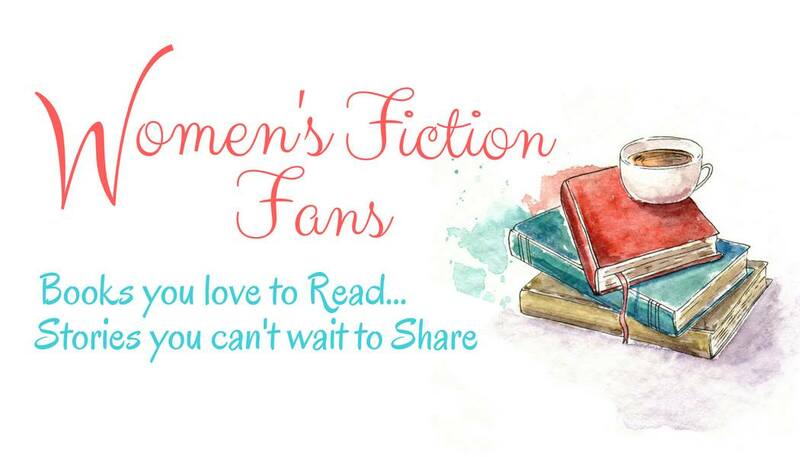 I hope you enjoy meeting authors who might be new to you, and connecting with those you already follow. 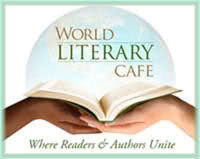 Savor their books, find out more about the writers and pass along their information to your friends. The best way to hear about a good book is by word of mouth from dedicated readers like you. If you have time to write a short review, even better, and always appreciated. Now it’s time for some photos from France. 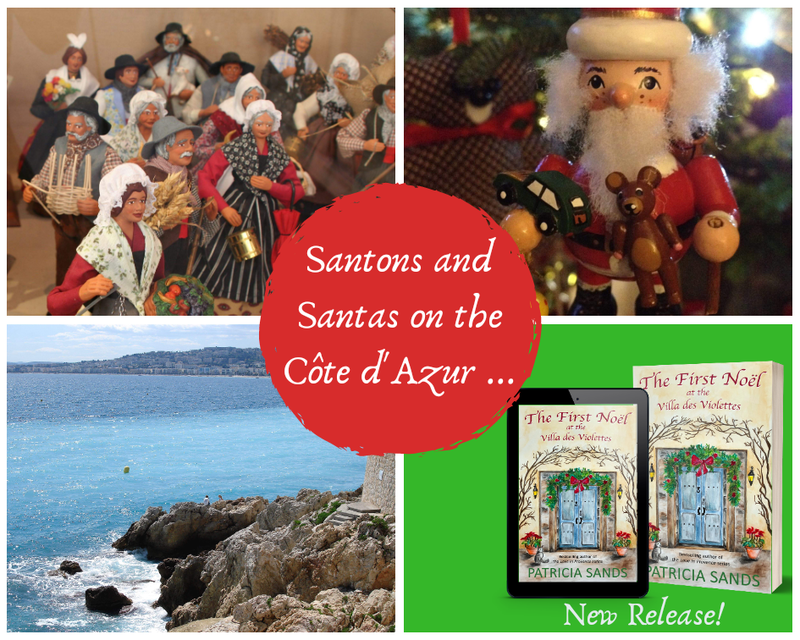 The setting for most of my Christmas book is in and around Antibes, with the exception of one weekend when Kat and Philippe visit the famous Christmas markets of Strasbourg. Have you ever been to those markets? 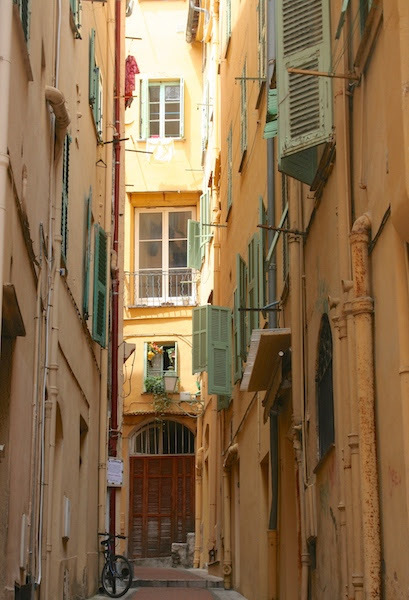 I have photos of the marché de Noël in Antibes and can’t find them! Does that ever happen to you? I need to take a few months and completely reorganize my photo files. 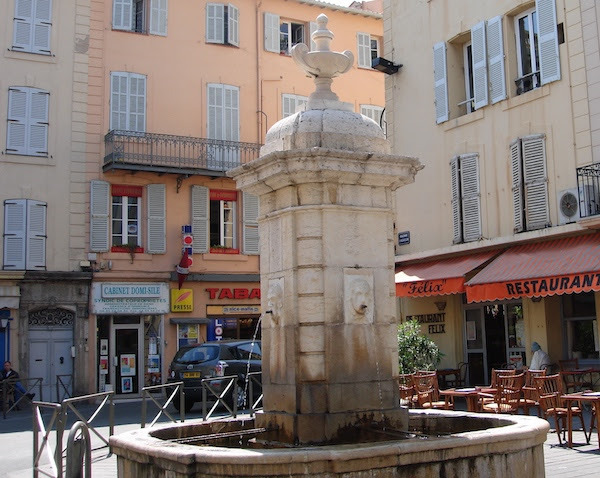 Since I want to send this off today, I’ll post a few of Katherine’s favourite spots in Antibes. Instead of sharing a recipe today, here’s another opportunity for a great Christmas gift … a Kindle Fire 7! The contest is open until the end of this week, so try your luck and bonne chance! Stay well, my friends, be kind to one another, read a lot and appreciate every single day. Profitez de tous les jours! I’m reminded on a regular basis that the best part of being an author is hearing from readers. I value the messages I receive from you. 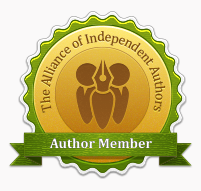 Thanks also for sharing my books with your friends and for the reviews you write. It’s all most appreciated and inspiring. See you next month! 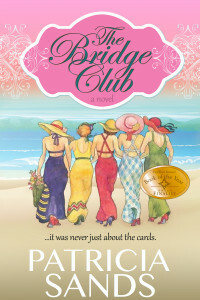 If you have read the The Bridge Club or any of the Love in Provence books or Drawing Lessons and can find a minute to leave a short review on Amazon and Goodreads. I thank you in advance. Follow Me and please feel free to share my newsletter! 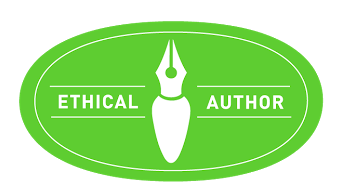 Copyright © 2018 Patricia Sands, Author, All rights reserved. Joy, how lovely to hear from you. You gave your daughters beautiful names … even if they didn’t marry Italians! That made me smile! The oldest woman we have had join our tour was seventy-eight and there were a couple of days when she chose not to go on the day trip, but loved just relaxing in our beautiful surroundings. We enjoyed her company tremendously. Remind me, are you in Naples? Or am I misremembering? 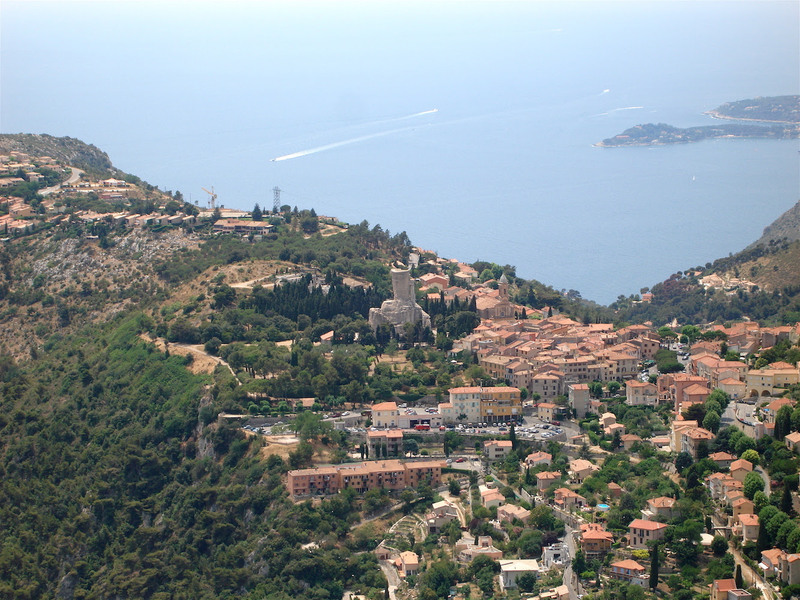 I think it’s a great idea to write a series set in Villa des Violettes. The cover is wonderful and I love that it will change with the seasons. Well done! Thanks so much, Margo! Congratulations on your new book as well. 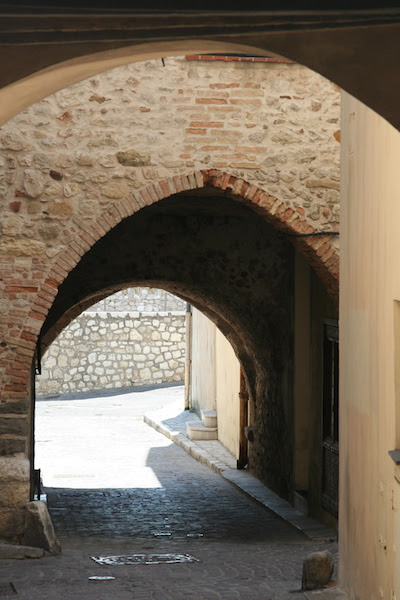 I’m looking forward to featuring Berets, Baguettes, and Beyond in my next newsletter. Thanks for another book Patricia and all the other recommends as well. Already ordered on Amazon…..looking forward to a cozy time by the fire with Katherine and Phillipe. 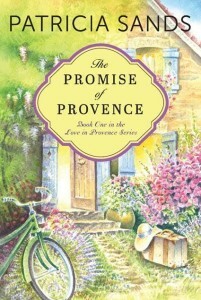 Read the Provence series from my hammock this past summer. Went on your Fall tour with you in spirit and these posts….on my bucket list to join you in person sometime. Enjoy this wonderful season of the year! You are most welcome, Ruth Ann. Thanks for your kind words! We would love to have you join us one day! What a fun giveaway this month. Christmas always has so many great books available to read. I wish I could just curl up every day for a month and read, read, read. I’ll be sending an e-mail to enter the contest, too.